This year’s turkey market for the Thanksgiving holiday is better than the previous year’s. Last summer we had the worst outbreak of avian flu (bird flu) in the U.S., which wiped out approximately 8 million birds. It caused shortages and limited the availability of larger sized birds. 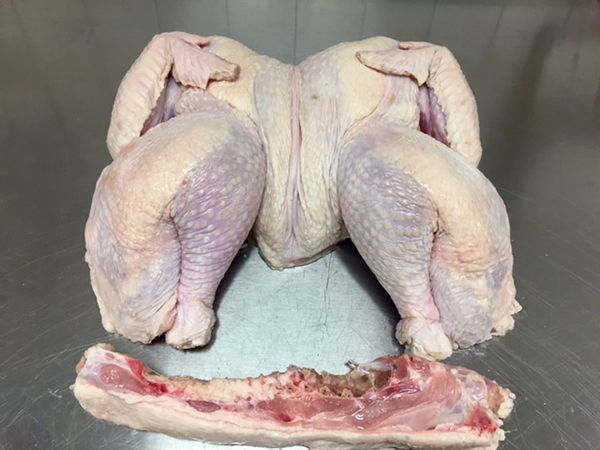 At my butcher shop, I had to convince some customers to make two smaller birds instead of a larger turkey. The market recovered nicely this year with more birds going to market. Supplies are plentiful, production is up, and prices are slightly down. Yeah!! Frozen turkeys are usually self-basting. This means they are injected with a solution of about 3% of its weight that may contain: margarine, butter, broth, water, salt, or flavor enhancers. These ingredients help keep the bird from drying out during the cooking process. Check the label for percentage of added solution. 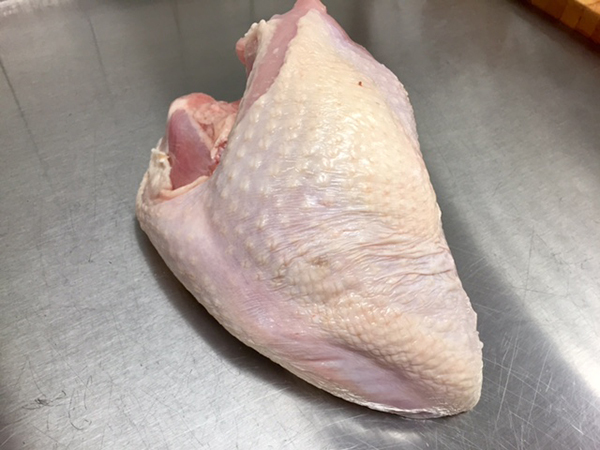 Frozen turkeys are chilled to zero degrees Fahrenheit or below. Frozen birds may be more convenient. You can purchase your frozen bird weeks in advance and store it in your freezer so you’re not running around at the last minute trying to find a turkey. If you buy a frozen bird you will have to plan ahead. To defrost safely in your refrigerator, it will take about one day for every five pounds of turkey. Leave the bird in its original package and place a drip pan under it so it doesn’t leak onto something else. Never defrost at room temperature! 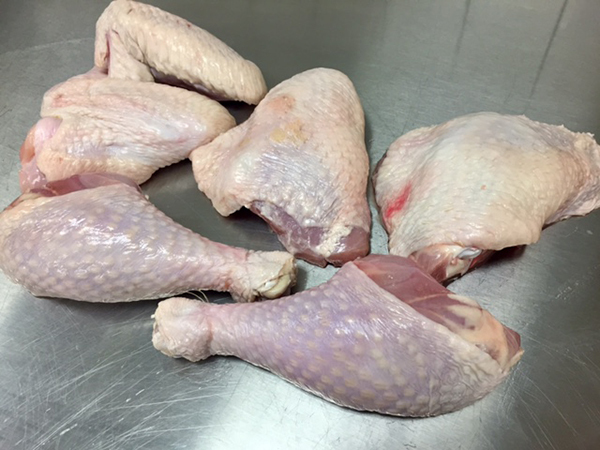 Fresh turkeys are non-injected and are minimally processed. They contain no artificial ingredients. Fresh birds are chilled between twenty-six and forty degrees Fahrenheit. They do require some special handling to maintain freshness, as most processors only deliver them locally. I always recommend placing an order with your local butcher shop to assure you get the size you want. You can pick it up one or two days before the holiday. Fresh turkeys do tend to be a little bit more expensive. Brining a fresh turkey is ideal to add flavor and moisture to the bird. Choose the turkey that works best for you!! We get more and more special requests at my shop to cut the turkey in many different ways. Some like to have us cut the bird into 8 individual pieces to reduce the grilling time. Others want us to bone the breast so they can stuff it with a variety of fresh herbs or homemade stuffing. The most popular request from my customers is to spatchcock the bird. This reduces the bird’s grilling time and will give it a nice presentation. Turkey parts are also available for you to purchase. You can buy extra drumsticks, thighs, wings, or breasts to make along with your whole turkey. This will ensure that everyone is satisfied and you will have no shortage of the favorite parts! Remember to order your turkey early so that you get the turkey you want and the right size. I suggest a serving size of one pound per person (one and half if you have big eaters or want left overs). Start by making a list of the things you are going to need. Do you have enough fuel for the grill? Do you need any pans, special seasoning, spices, or utensils? Don’t rely on the pop-up timer; always use an instant read thermometer to check your turkey for doneness. 88% of Americans will eat turkey on Thanksgiving. 46 million turkeys will be consumed on that day. Turkey is the fourth most popular protein behind chicken, beef, and pork. Both Hen and Tom turkeys have the same meat ratio and should be equally tender. For more information about how to make this your best every Thanksgiving click here, here and here!